In Detroit, Michigan, access to local produce has been a struggle for the community. However, with the recent Farm to Table Movement, there is hope that this access to locally grown fresh produce will increase. The Charles Drew Transition Center, part of Detroit’s school district, is hoping to become a vital part of the movement to improve the city’s food security. Drew is a nationally recognized post-secondary vocational center for moderate to severely cognitively, visually, hearing and physically impaired students, as well as students with Autism. The transition center was created to provide services to these students to ensure they will have the opportunity to work real-world jobs by age 26. One of the programs that Drew offers is the Drew Horticulture Program, instructed and taught by Michael Craig. The program was created for the dual purpose of helping Drew students gain horticultural skills and a path to employment, while also providing more access to fresh, locally-grown produce for the school’s families and other parts of the Detroit community. 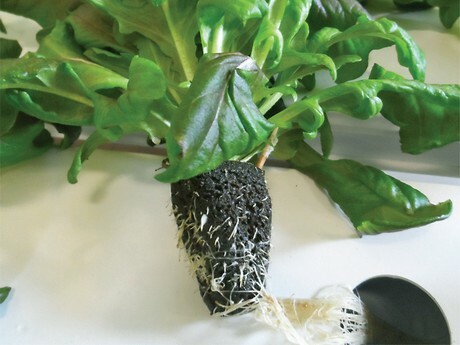 With the evident need for more local produce, Craig thought hydroponic growing could be a great solution. Since their horticulture program was located in a large gymnasium, he knew there was enough room to house numerous hydroponic systems. Due to the rapid growth in the Farm to Table Movement, growing hydroponically would also give Drew the opportunity to sell the produce to local businesses. 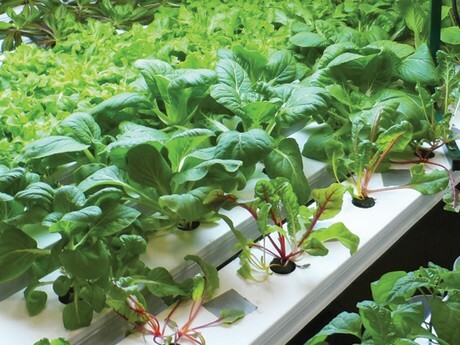 These pros swayed Craig to purchase three HydroCycle NFT systems from Growers Supply. Drew is doing a lot with this generated produce. Most importantly, it is consumed by students through their lunch program, ensuring healthy food choices. The families and local community are also provided for through the in-school Farm Stand that offers low-cost greens, as well as other products. A portion of the produce is also set aside as a donation to a couple of food pantries, so that the less fortunate have access to healthy food options. The program’s participation in the Farm to Table Movement has opened doors to produce sales to local restaurants and other institutions, such as hospitals, which could help flow funds back to the program. 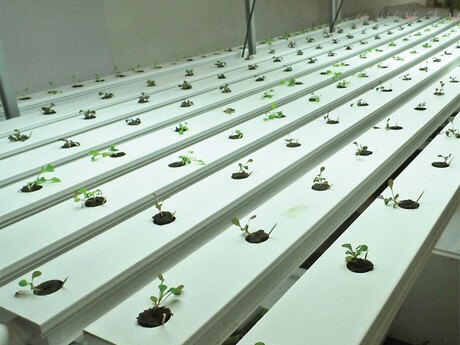 To people who are considering purchasing a hydroponic system, Craig said, “Whether you’re a farmer looking for more production or a teacher in a school program, the Growers Supply NFT Hydroponic Systems are a fantastic value.” He also explained, “The Growers Supply specialists took the time to learn about our program and goals. Heather, the specialist we directly worked with, answered all the questions we had and has been extremely helpful in recommending equipment and supplies that suited our needs and goals. I’m extremely grateful for all her assistance.” Craig said the only thing he would’ve done differently is start the whole process earlier.